Wayne Gretzky had the backyard rink his dad built each winter. Sidney Crosby had his family’s basement dryer to perfect his shot. Minnesota Wild defenceman Brad Hunt had his backyard shooting deck at his home in Maple Ridge, British Columbia. Hunt’s father Steve, a former goalie, wanted to protect the family’s garage door. So he constructed a shooting deck in the backyard for his son to work on his shot. The diligent work on his shot and other aspects of his game had Hunt on the right path. At 17, he was promoted to join the Burnaby Express for its late-season ride to win the Royal Bank Cup as national Tier II champions. He earned a scholarship to Bemidji State in Minnesota and helped the unheralded school advance to the 2009 Frozen Four championship. The underdogs, however, lost to Miami (Ohio) University in the national semifinals. Hunt never was drafted despite four strong seasons at Bemidji State. 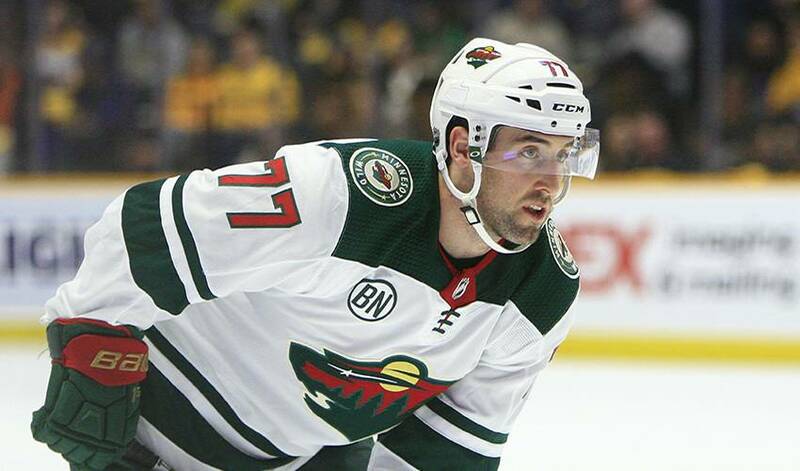 But the AHL Chicago Wolves gave him a shot after his senior season and signed him for a 14-game regular-season stint in 2011-12 and five more games in the playoffs. His coach in Chicago was Craig MacTavish, who took Hunt along with him when MacTavish became the general manager of the Edmonton Oilers. But NHL games were few and far between for the hard-shooting defenceman. He played only 21 games with the Oilers in three seasons. It was time to move on. Hunt had a brief stint with the St. Louis Blues organization. He was placed on waivers in January 2017 and picked up by the Nashville Predators. His pro experience turned around with that transaction. The Predators went to the Stanley Cup final that spring but lost to the Pittsburgh Penguins. A few weeks later, he signed a free-agent contract with the expansion Vegas Golden Knights. For the second straight season, he went to the Stanley Cup final again as a black ace during the Golden Knights' remarkable run. Hunt was making his way with the Golden Knights this season until he was traded to the Wild January 21. A testament to the lasting friendships that were forged, it was just last week that Hunt squared off against his former club in a 3-2 win for the Wild. The matchup served as the perfect opportunity to hand over a few presents to Colby Hunt, who was born the prior Wednesday as the first son to Brad and his wife, Katie. Although, it was difficult to depart from his Vegas teammates he was ready for another challenge, another chapter of his perseverance. So even though Hunt was a Tier II junior stud, a college standout and two-time AHL all-star, he has exhibited a determination to break through.